Many times it so happens that you download a movie using torrents only to find that your PC/laptop/smartphone can’t play it due to an unsupported file format. The only alternative left to you is to sulk and try to find a proper supported format. However, you can solve this issue with VLC Player. VLC Player is one of the best media players available. It can play almost any video format seamlessly. But there is also a very nice feature that VLC Player has! It can convert almost any video format to the format you want. So next time you download an unsupported video format, don’t sulk. Use this tutorial and convert the video to the format of your choice. 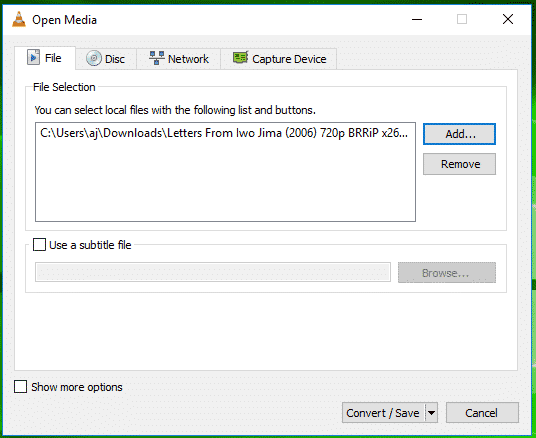 Step 1 : Open VLC media player and go to Media> Convert/Save. Step 2 : Click Add and select the file you wish to convert. Now click on Convert/save button to proceed. Step 3 : Now select a format you wish to convert in by clicking on drop-down menu available next to Profile. Step 4 : Now select a destination and click on Start. 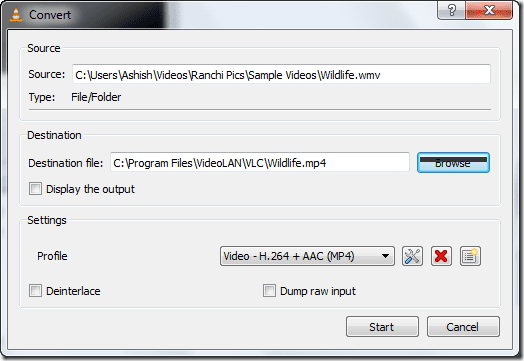 You can also use VLC Player to convert different AUDIO formats as well using the same method. 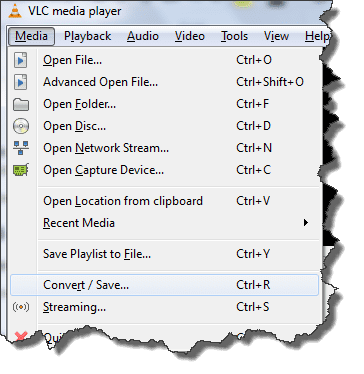 By default VLC media player comes packed with a few profiles that can convert your video to most of the widely used audio and video formats. You can edit, delete or create new profiles using three buttons located next to the select profile drop down list. Also remember to pick the right format for your device on which you are going to play the converted content. Converting large movies like Hobbit : Demolition of the Smaug can take hours but VLC Player has a timer that will give you actual conversion progress as it encodes to the new format. Note: Although VLC is shipped with all the necessary codecs but still if you face any trouble while converting your videos then try installing a codec pack. The one I prefer is K-Lite Codec pack. If you need professional quality videos it is better to have standalone Video converter Apps like Xilisoft etc. as they give you more options.